The positive relationships we have built with our numerous satisfied customers is a great source of pride at Millwork, Inc. Many are repeat clients with whom we have collaborated on multiple projects throughout the years. We can't thank you enough for all the tremendous work and effort you have put into our construction project. You are, and were, a pleasure to work with each day and you made the whole process so easy for us. You never even complained about the 9:00 PM Sunday night call! We are very pleased with the end result and continue to get compliments on it, especially on the level of detail and quality. Thanks so much! We've been customers of Millwork for a long time and with good reason: Glenn Mills and his team are simply the most reliable, high-quality construction team with whom we've ever worked. They're always on schedule, respond immediately to questions and requests, keep excellent week-to-week accounts of all aspects of their work, and are consistently fine collaborators: among themselves and subcontractors, with engineers, and most especially with their clients. Our projects have ranged from a simple basement window and bulkhead door replacement to a complete house renovation. The latter included demolishing and rebuilding the kitchen and one bathroom, adding two bathrooms, installing radiant heat in the kitchen and bathroom floors, and installing air conditioning systems. The renovation was completed while we lived in the house. Millwork's hallmark is their high standard of craftsmanship, especially when it comes to renovating historic construction. This holds true not only for their specialty in carpentry, but also for many related aspects of house construction: roofing and flashing, tilework, plumbing, electrical work, and painting. In our case, they proposed a myriad of ingenious solutions to the difficult problems builders inevitably encounter with an old house: structural problems, floors and walls out of plumb, painting historic woodwork, and leaking roofs. Most important, their solutions represent the soundest quality of construction, and it is clear they will retain integrity for many generations to come. Millwork is simply the best builder that we know. As for any future projects, they are the only builder that we would choose. We have a long working relationship with Millwork. Glenn and his crew masterfully renovated our future retirement home in Kittery Point. They turned a decrepit, neglected structure to a comfortable, low-maintenance, efficient home. Anyone who sees the house remarks on the workmanship and attention to detail. The ease and flow of the house can be accredited to Glenn and his crew's wonderful ideas as we started taking it apart and putting it back together. Chris and I both come from old-time Swedish carpentry families which instilled in us the belief that when you build or renovate, you should do it right. Glenn and his entire crew live this philosophy and combine it with an impeccable work ethic. We have started our second major project with Millwork, the renovation of a 1926 bungalow which came with many surprises as we opened up the ceilings and walls. Once again, Glenn and Millwork is exceeding our expectations. We would never work with anyone else. After completing the mailroom projects at Kirkland, Winthrop, and Elliot Houses at Harvard University and the renovation of my home office/study, I wanted to let you know how happy I am with the results. You and your crew have consistently produced the highest quality workmanship, completed things on time, paid strict attention to the most intricate details, and have made the whole process painless and anxiety free. I have had only compliments from the House Masters at Harvard and my wife and I are entirely pleased with the finished product in our home. I hope we have the opportunity to work together on many more projects. We know that when we hire Glenn and his team to undertake a project, it will be “done right.” The planning, attention to detail, and the thoroughness they invest in every stage of the process, whether renovation or full construction leaves the homeowner feeling confident that the workmanship will endure, and that all risks have been carefully anticipated and managed. 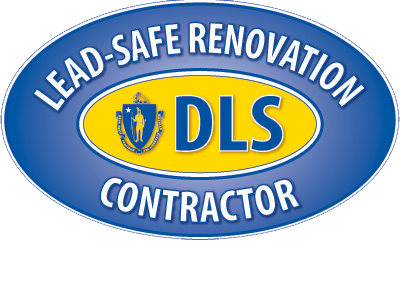 They are responsive, courteous, tidy, pleasant to work with, and prioritize the homeowner’s needs, while working seamlessly with subcontractors. Combined, all of this leaves the homeowner with an outstanding product that not only has structural integrity and excellent workmanship, but is lasting and beautiful! We will always ask the Millwork team for help on any project for our home, large or small. Millwork, Inc. is a rare gem in the world of general contractors and builders. They are simply outstanding in terms of competence, honesty, skill, craftsmanship, and attention to detail. Their work is top notch. They never cut corners, and they are never sloppy. They are dedicated, professional, and responsive. I am convinced that there is no challenge too difficult for Glenn Mills, who is an engineer and a brilliant problem solver. In addition, Glenn and all of his crew are a pleasure to have working in your home. They are respectful, polite, considerate, and helpful. The subcontractors Glenn brings on the job are also top notch in their respective areas. They clearly respect Glenn and Millwork, Inc., which is a testament to the reputation Millwork has established throughout their many years of building experience. In addition to being a highly skilled craftsman and engineer, Glenn is also an excellent project manager. He is organized and thorough, he sets realistic deadlines and cost projections, and he is determined to meet them. My home renovation project was very complex and extensive, but Glenn met every deadline in a most impressive fashion. I am thrilled with every aspect of my experience working with Millwork, Inc., and I feel fortunate to have met them through a former neighbor who had a similar outstanding experience with Millwork. I will hire Millwork for any and all future jobs, large and small! I have only one word for my fireplace. Beautiful. Okay - two words - Perfect...maybe more.... Thank you, and please thank (your crew) for me. It certainly changes the look and feel of my living room ... After all this, we need to treat this room properly - it may not have a big-screen TV, but I believe it is now my very most favorite. It really, really does look magnificent - ... My only disappointment is that I have to work and cannot begin decorating the very second it's complete! We wanted to thank both of you for the fabulous job you did on our bathrooms. We are totally satisfied with the results and truly appreciate your meticulous work. If you ever need references, feel free to offer my name. Thanks for being so conscientious - the guys are wonderful, and so neat!! It is a pleasure dealing with them (which is one of the main reasons I wanted you to do the work in addition to the high quality, which is totally unlike other contractors I have had in the past). Over the years, I have dealt with my fair share of contractors and their staff, success in (my) business is ensuring a customer's 100% satisfaction, I guess you feel and ensure the same. Although the work required was not extensive, the service and attention to detail was great.... both carpenters were very professional and courteous....it is rare that the owner is at a job site for such a small job....I thank you for that. Everyone loved the kitchen, bathroom and updates to the family room over the holiday. Everything is great and we couldn't be happier. You and all the guys who work with you were fantastic. Just can't say enough good things, the courtesy … and all the others displayed made things so much easier. The quality job they did on everything from the doors, to the framing to the small details in the closets etc. made the finished product wonderful to look at and live in. A special thank you for the extra efforts to make things easier for (my father in law). He could not believe it was the same space and appreciated the ease with which he could access everything. I am an architect whose goal is to produce good work, and I am always confident in turning the design and construction documents over to Glenn Mills, and his company, Millwork Inc., Builders. The studied design process transitions seamlessly into an equally caring and thoughtful building process resulting in "beautiful work". Glenn is disciplined and conscientious in his craft, and responsive and considerate in his demeanor…All of my clients who have worked with Glenn have shared similar sentiments—delight with both the building process and the high quality of the finished project. I knew that finding “the right guy” would be more important than finding “the lowest price.” I am extremely fortunate to have found “the right guy” in you and your crew at Millwork, Inc. That became even more evident as the work progressed. Your workmanship was clean, well organized and of high quality. You consistently and quickly responded to my various requests and questions with detailed, fair and accurate recommendations, often pointing out ways for me to save money without compromising quality. Your crew had a thorough understanding of my objective in the project and worked with me to achieve that result. You have earned my complete trust in your ability and judgment.